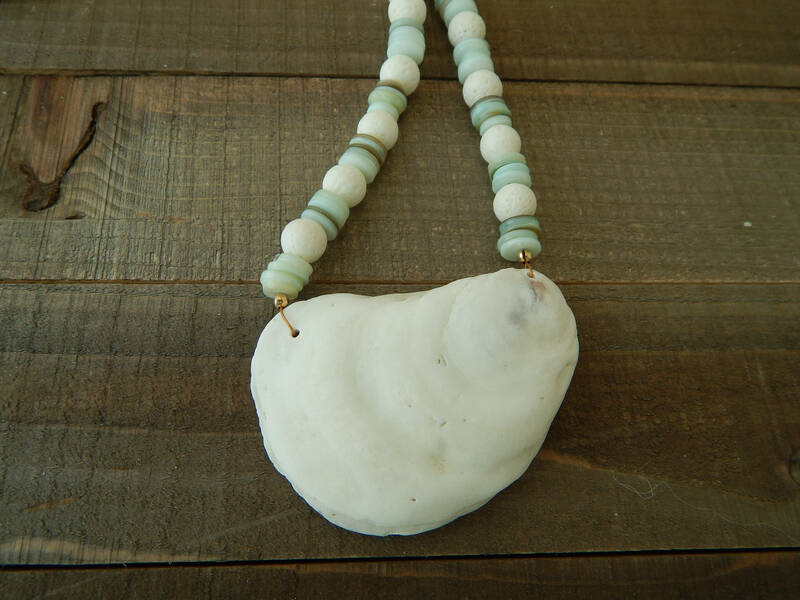 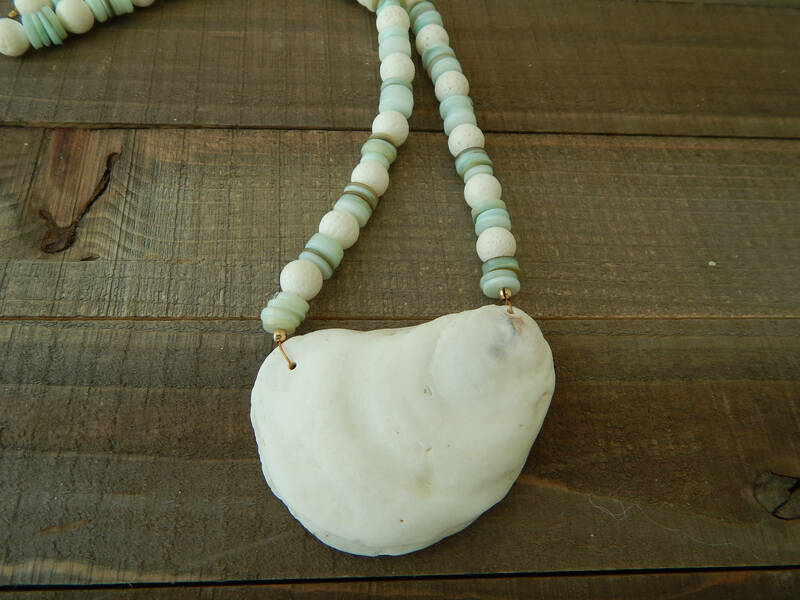 Seafoam green shell beads and white sponge coral beads hold a stunning white clamshell pendant lending this necklace is beachy vibe. 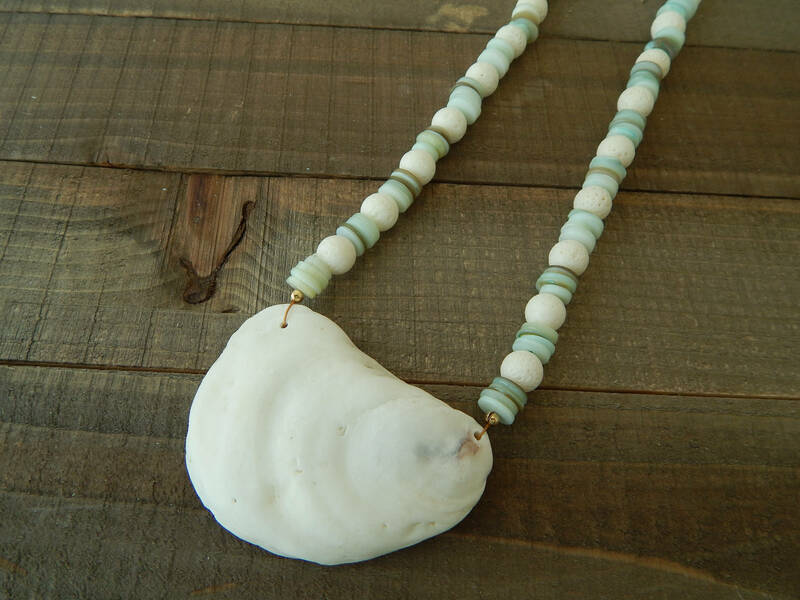 The clam shell pendant makes this perfect for the summer that can be worn layered with others or alone for a perfect beachy look. 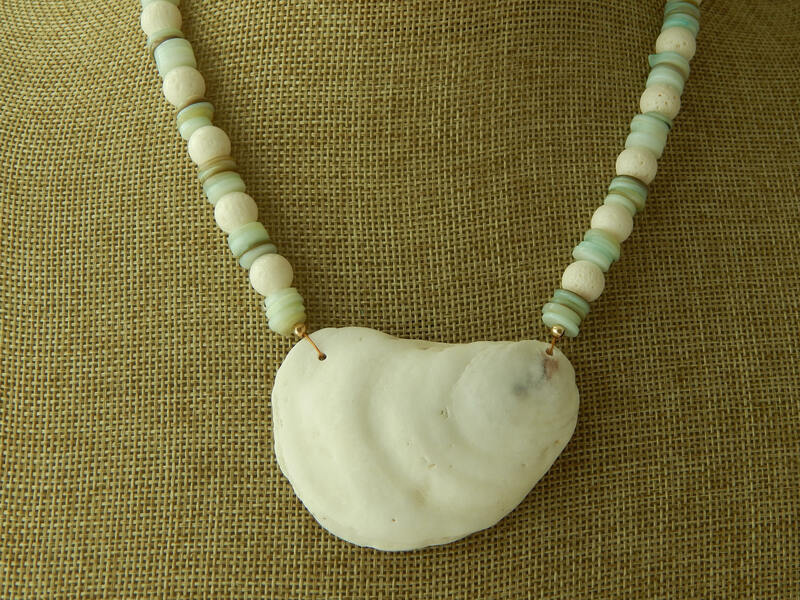 Necklace measures 18 inches long and closes with a lobster clasp. 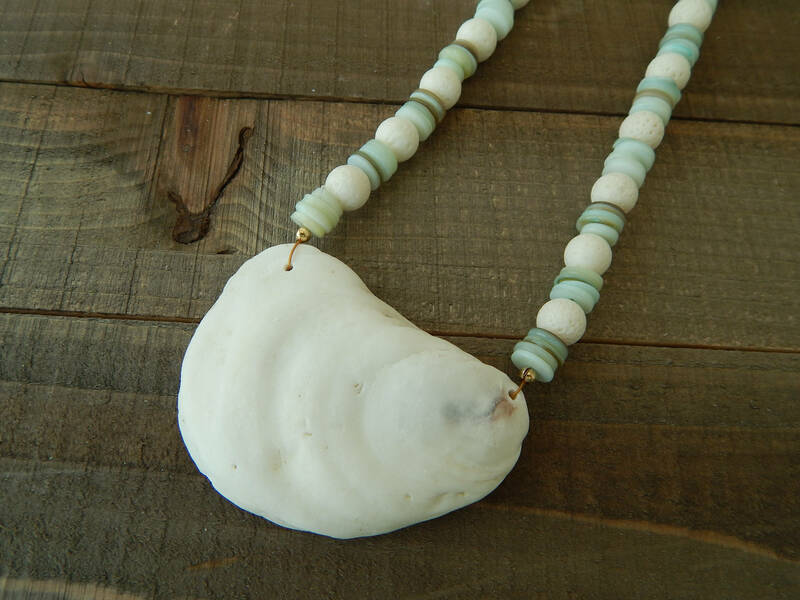 Clam shell size and shape will vary with each necklace. 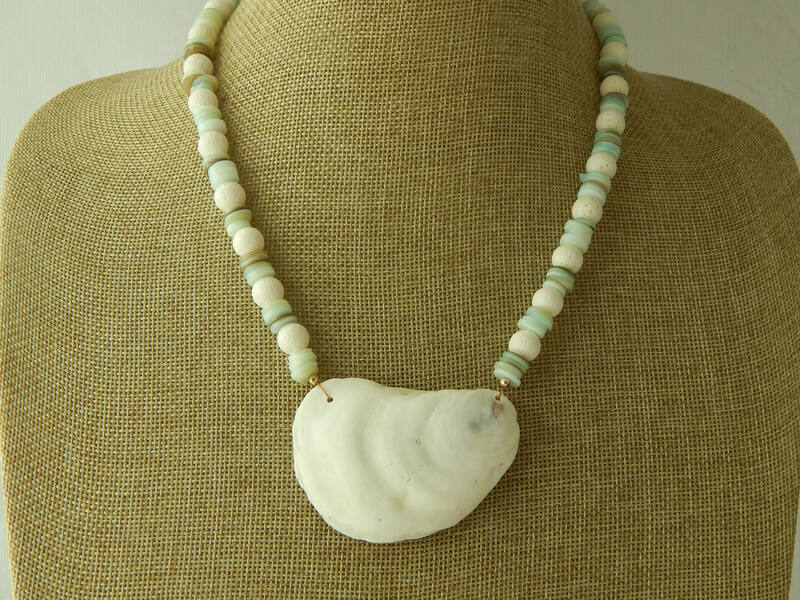 The one shown measures 2.25x1.5 inches.